TRY OUR 5 NEW FLAVORS TODAY! 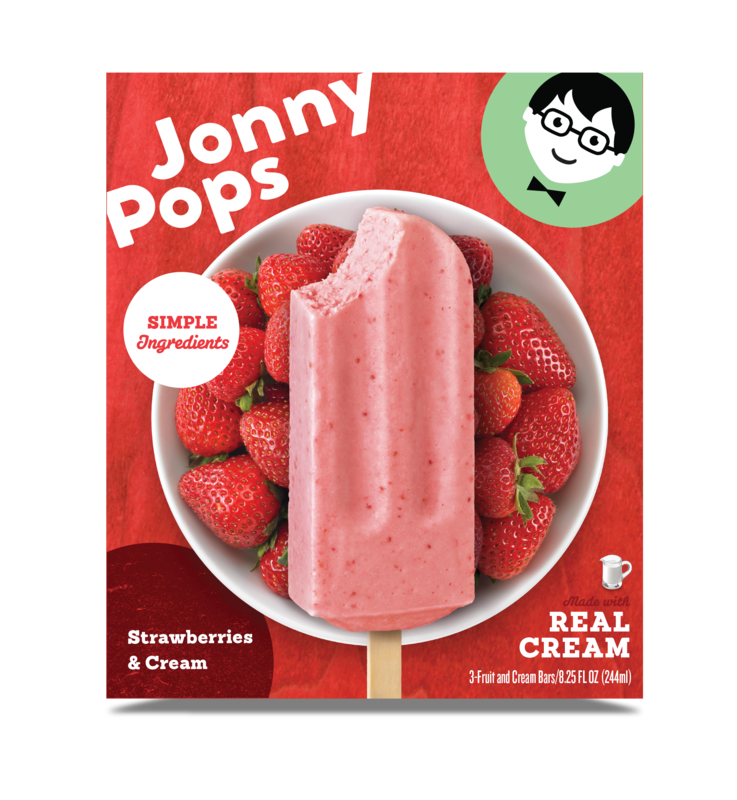 Made with simple ingredients and nothing artificial, JonnyPops are truly scrumptious and meant to be shared. Check out all 11 of our delicious flavors! Where can you find them? See our Pops Locator for pops near you! Nostalgia sets in with every bite of this perfectly creamy Root Beer & Cream pop. Rather than an old-fashioned straw, we’ve put it on a stick! Perfect for all ages and activities, this pop is sure to delight. Minnesota’s favorite, Cherry Chocolate & Cream, has a sweet, powerful burst of cherries covered in bitter sweet dark chocolate. With cherries from Michigan, hand dipped in Minnesota – this is a Midwest treasure than can be enjoyed anywhere. 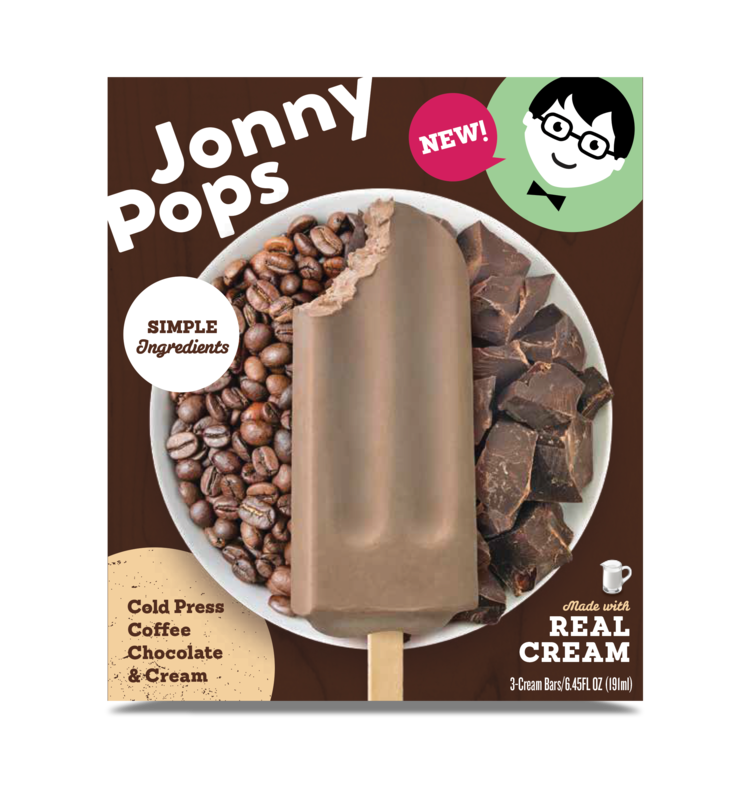 Our 18-hour cold press coffee is brewed at JonnyPops and combined with a delicious dark chocolate. Cold Press Coffee Chocolate & Cream is a smooth, blended, gotta-have-it treat with a caffeinated kick. The refreshingly clear taste of vanilla and mint dipped in decadent, dark chocolate makes every “me” moment a little bit more about you. Even if you share! Capturing the flavor of freshly-picked, ripe strawberries makes this pop timeless. The smooth, creamy texture made with five simple ingredients will be sure to satisfy. Within one bite you’re swept away to a tropical paradise. Pineapple Coconut & Cream is a refreshing, beachy treat that uses only the best ingredients to help you find your place in the sun. This dynamic duo of sweet and tart, is a complement to any day and a splendid treat to share with friends. 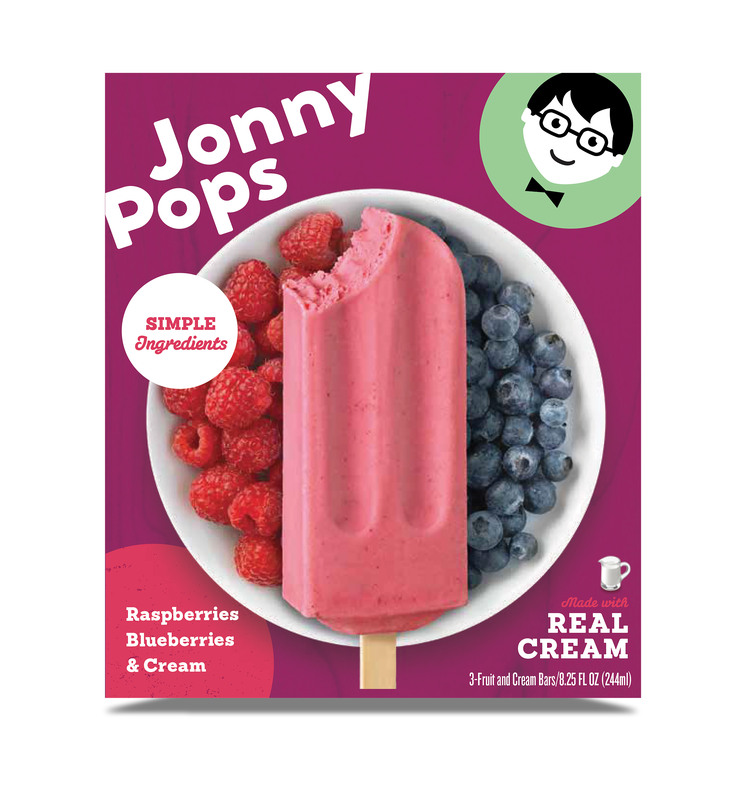 Raspberries Blueberries & Cream is an original JonnyPops beloved flavor. Enjoy the fresh, juicy and bright taste of real mangoes in our Mango & Cream pops. Creamier than ever before, our use of perfectly blended mangos makes eating your fruit a breeze. Scrumptious banana with a dash of savory cinnamon makes this pop a must have. Banana Cinnamon & Cream is a year-round treat that will surely put a smile on your face. Classic duo of strawberries and bananas mixed with real cream creates the epitome of a smoothie-on-a-stick. Fresh and fruity – this combo is made for any age.